These signs were inspired by the architecture of Frank Lloyd Wright. 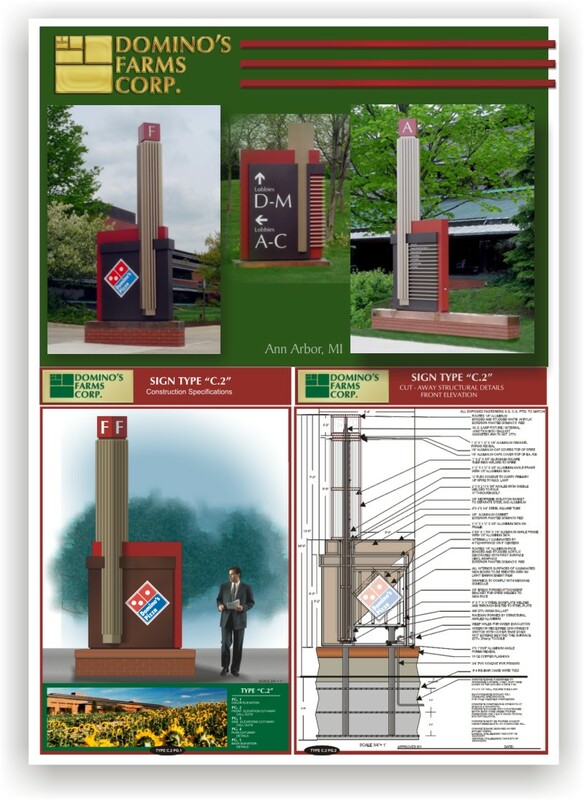 Huron Sign interpreted architectural design intent drawings and developed shop drawings. Twenty-two way finding and identification signs were fabricated and installed in two phases. After completing the architectural signs, Huron Sign Company was awarded the contract to build and install the Golden Beacon sculpture.